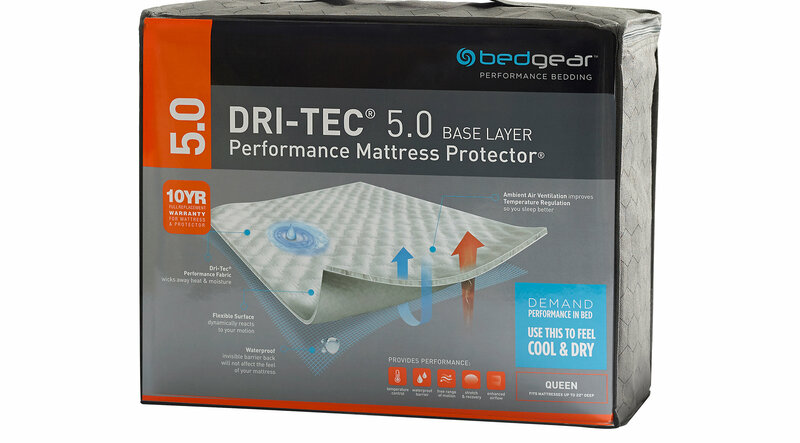 Featuring a unique channel-weave construction designed to facilitate airflow, the Dri-Tec 5.0 performance mattress protector from BEDGEAR wicks away moisture and dissipates heat, for a drier, more comfortable night's sleep. A waterproof, invisible barrier back completely protects your mattress without changing the feel. Engineered to enhance the body-conforming qualities of memory foam and latex mattresses, this flexible protector reacts to your motion, keeping you cool and comfortable even as you move during the night.